If you’re accountable not only to your executive team, but to your clients as well, reporting can be a tedious process that demands far too much of your (or your team’s) time. In fact, you’ve probably wished once or twice that you could skip the reporting and just work your marketing magic. But the truth is, reporting should be your time to shine with clients. In this post, we’ll share what makes the client reporting persona unique, the six metrics that will help you keep your clients happy, and how Grow’s agency BI solution can take your brand to the next level. A while back, we talked about why marketers need reporting personas (think buyer personas, but for the people you’re reporting to). We also covered what the executive reporting persona looks like. To put it briefly, marketers reporting to executives need to prove that their work aligns with company objectives and is effective. Client needs are similar to executives’ in many ways. They need to know they’re getting a good ROI and that their marketing partner is positively impacting revenue. In that respect, the same metrics for reporting to executives are also relevant to clients. Despite these similarities, the agency-client relationship faces a few unique challenges. For example, a study by ad agency RPA and USA Today in 2014 revealed a lack of trust between clients and their agency partners. A 56% majority of clients reported that their agency partners seemed “more interested in ‘selling’ their ideas than solving the client’s problems.” Further, while 88% of clients claimed to speak their minds freely, only 36% of agency leaders agreed. This idea was reinforced in the 2017 SoDA Report, which showed a disconnect between what marketers value in their agencies and what agencies believe their clients value most, as well as how each side perceives the causes of ended partnerships. In short, client-agency relationships tend to suffer from a serious communication gap. To address that gap, clients and agencies need to speak the same language—the language of data. Performance metrics need to be clearly defined at the outset of the partnership to ensure that expectations are being met all along the way. When your reports include metrics you’ve both agreed upon together, you’ll have much happier clients. While every client’s needs may differ, you don’t need to dive into every single metric of every single campaign. Instead, we suggest starting with a base of high-impact metrics that tell a compelling story. We’ve chosen these six metrics to take your clients on the journey from site traffic to return on investment, but you can supplement these with additional metrics as needed. 1. Traffic by Channel: Identify changes in traffic for individual channels including social, search, email, and others. Because so much of marketing these days is digital, this metric can be a good reflection of brand awareness. Tip: If brand awareness is a particularly important initiative for your client, include more engagement metrics such as number of new visitors, bounce rate, and time spent per page, as well as social engagement metrics like followers, comments, likes, and shares. 2. 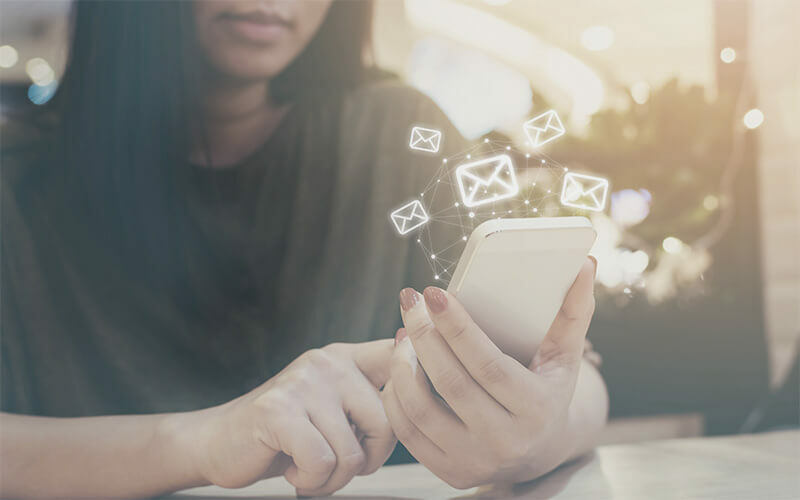 Traffic-Lead Conversion Rate by Channel: Although traffic and engagement data is useful information, they can commonly be tagged as “vanity metrics.” In order to make that data meaningful, calculate your traffic-to-lead conversion rate, again by channel. This tells you what your traffic is worth, as well as which channel is producing the most leads. It also demonstrates that you’re aligned with your client’s objectives, not just the appearance of success. 3. Marketing Pipeline Contribution: Transitioning from traffic-lead conversion rate to marketing pipeline contribution is simple: just add up the leads from each marketing channel, and then divide by the total number of leads given to sales. This will give you the percentage of leads that marketing has directly contributed. If possible, you should also calculate the marketing-influenced pipeline, which includes all leads that were nurtured or touched by marketing at any point. Tip: For highest impact, calculate both percentages by quantity and by lead value. 4. Marketing Lead-Customer Conversion Rate: Continuing along the path from traffic to revenue, the next step is to address what percentage of marketing-originated leads convert to sales. This will give you and your client great insight into the quality of leads being passed from your agency to their sales team, and whether that handoff needs improvement. 5. Marketing Cost Per Lead: Your clients probably care about costs. One way they may measure your value to them is cost per lead, specifically the marketing percentage of cost per lead. To calculate this, divide the marketing cost to them by the total number of leads that came directly through marketing. Depending on company goals and expectations, you may want to follow this further down the funnel and address marketing percent of customer acquisition cost (CAC), especially if providing higher-quality leads to sales is one of your objectives. Again, you should also include any other metrics that are relevant to your client’s specific company goals, and drill down on any campaigns or channels that are particularly important to your marketing strategy. Just don’t forget to tie that data back to your client’s top-line growth! For marketing agencies, there’s no better way to prove success to clients than Grow. 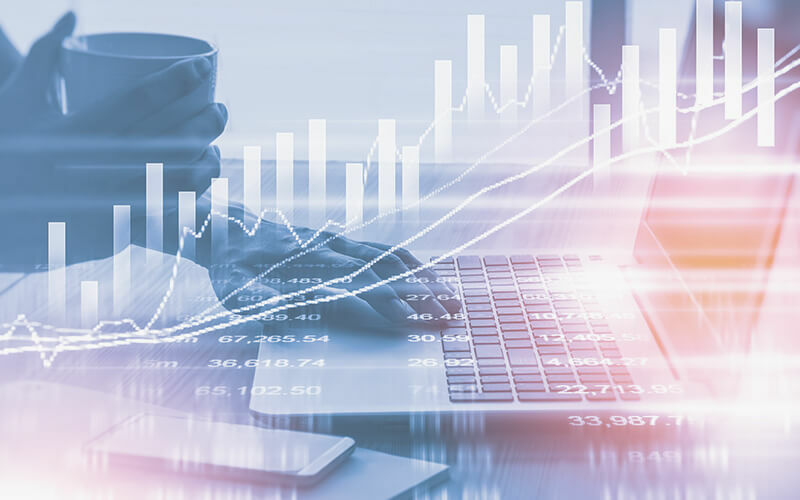 Grow’s BI dashboards offer numerous benefits for any business, but for agencies, these benefits are multiplied many times over. 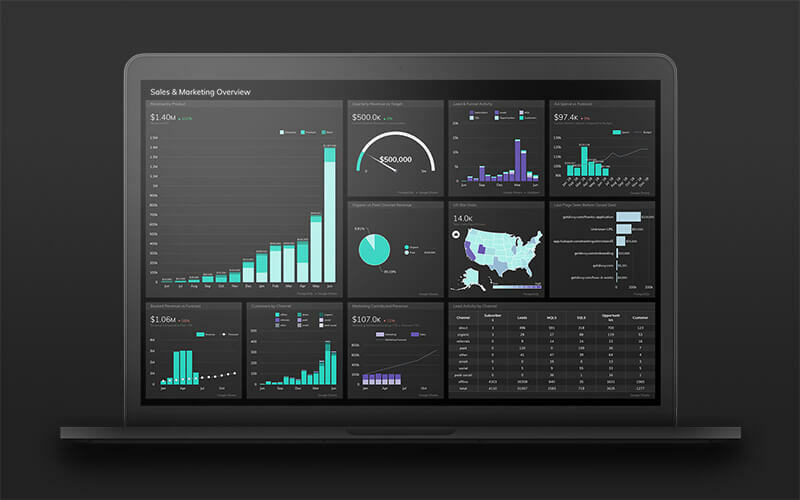 A marketing dashboard brings scattered data from all your apps and spreadsheets together in a single browser window. Instead of having to build dashboards for each client and campaign from scratch, Grow allows you to quickly duplicate metrics and dashboards for different clients. All you have to do is attach the correct data sources for each one. With a custom branded account, your logo and colors will be used throughout the app, so your clients’ experience will be seamless (and they’ll be seriously impressed). Furthermore, the 2017 SoDA Report found that “C-level business leaders are increasingly involved and … exerting a major influence” in the process of selecting a digital agency partner. If you know how to report to your own executives using dashboards, you can easily demonstrate to prospective clients’ executive teams that you know how to align your work to their company’s objectives. It’s a win-win!